The Lamiaceae family has a number of interesting native and exotic plant species, the well-known Rosemary and Lavender are members of the latter, while Westringia and Prostanthera (Mint Bushes) from the former. 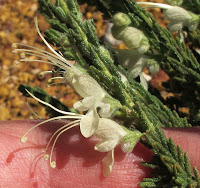 Teucrium along with several other genera are not as well known, but are equally appealing. 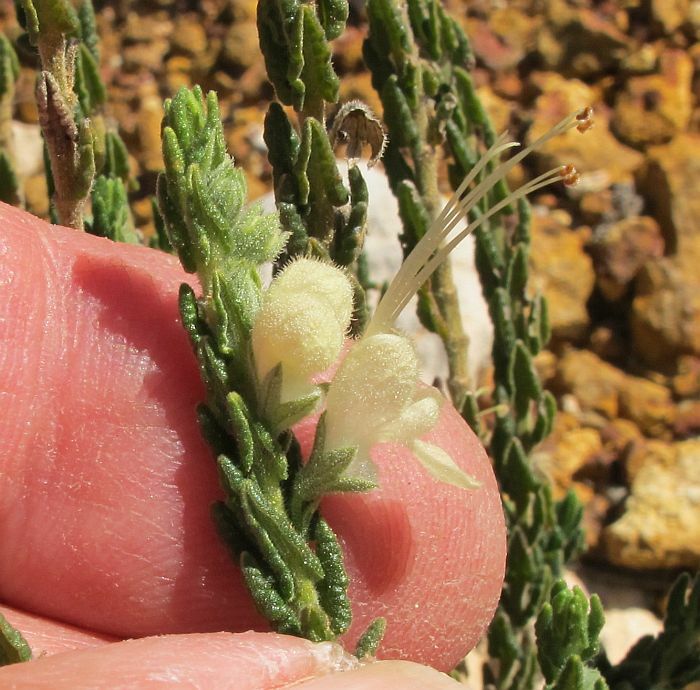 Teucrium myriocladum is known only from the NW and NE of Esperance, with most collections having been made in the mallee just North and NW of the town. 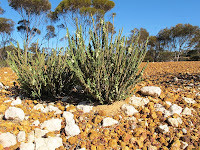 It is not considered rare or endangered as it is often found after bushfire or soil disturbance in considerable numbers. 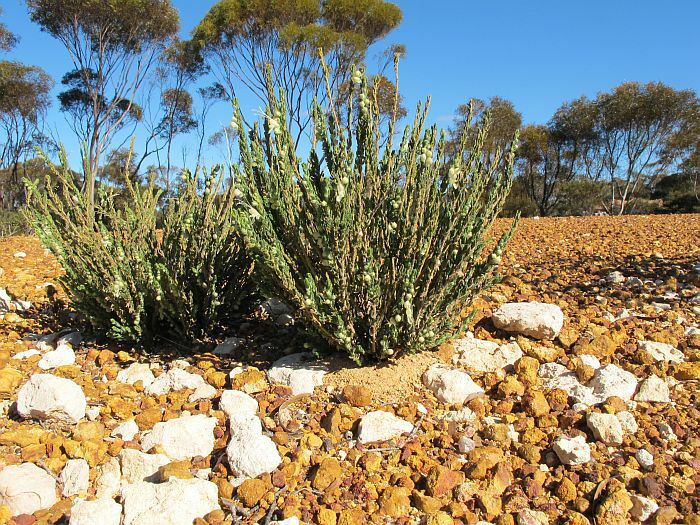 Its preferred habitat is open mallee woodland with a sandy loam particularly over limestone, however the loam is usually better than the typical fine sand/clay normally found in these regions and is borderline for broadacre wheat farming, which may become a future issue. 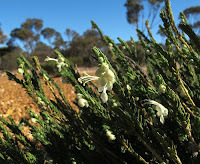 Teucrium myriocladum grows to around 30 cm (12”) in height and produces an interesting cream/green flower, which is distinctive due to the large pouch that can be clearly seen at its base. 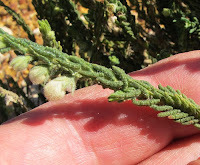 These form along the many upright branches of which the species name of myriocladum refers (myrios = countless + clados = branch). 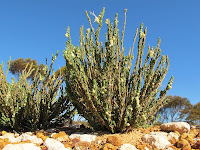 The leaves are small, hairy and revolute, probably the means of a small plant to survive hot dry summers close to the ground. 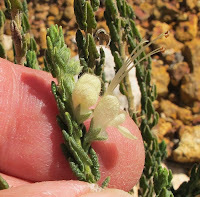 Flowering of this species is highly dependent on rainfall and it will bloom after decent falls. 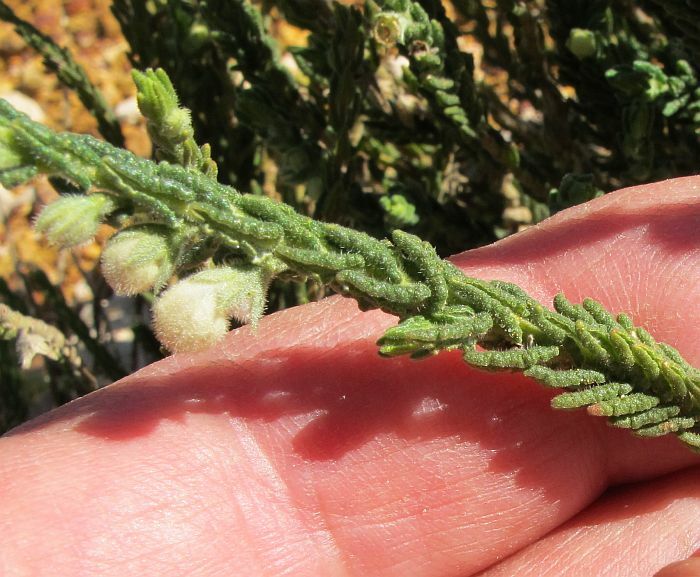 It is officially recorded from August to January, with another in May. 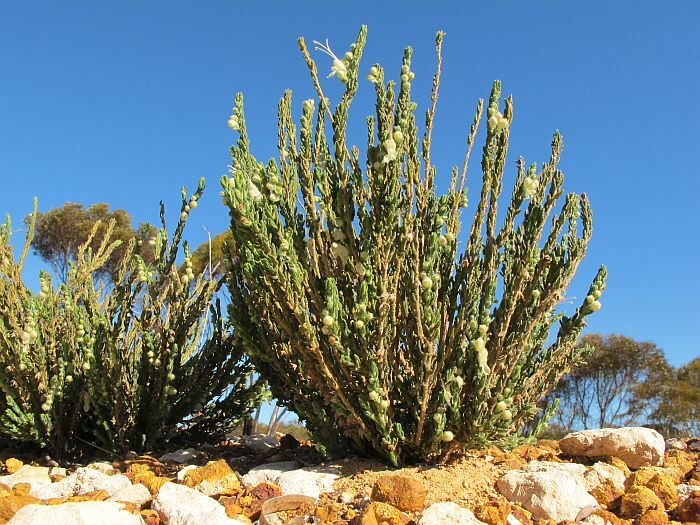 As the region of this plant is seldom visited in the heat of summer/autumn, it will probably also produce flowers at other times if conditions are favourable.